Kodavas, a small ethnic community living in the Kodagu district of Karnataka, are facing an existential crisis. Blessed with a distinct culture, custom, tradition and dressing style, they celebrate festivals, where they worship their ancestors and Nature. Though their ancestry cannot be scientifically authenticated, Kodavas are believed to be a part of Alexander’s army; their dialect has words that are similar to Arabic, Persian and Sanskrit. Their head gear and long coats have a strong similarity with the Kurdish people. Some suggest the Kodavas are Arabs, who travelled to the coastal areas through the Arabian Sea, and later migrated to the interior Western Ghats region. They are a well-built warrior community, well versed in martial arts and hunting. In fact, two generals of the Indian Army—Field Marshal K M Cariappa and General K S Thimayya—are from this community. But their population has been consistently dipping—there were about 150,000 Kodava people about 20-25 years ago, and today, their numbers have declined to less than 100,000. 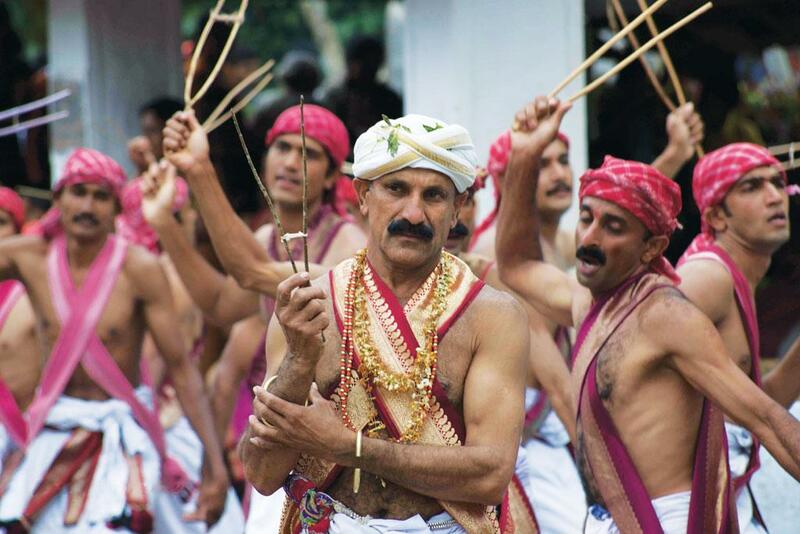 Interestingly, Kodava traditions are totally different from the Dravidian and Aryan cultures. They have unique family names—there are less than 800 now—which can be traced to a single ancestor (moola purush), for whom they build a small place of worship called Kaimada, and worship him on all occasions. Though historically they were an agricultural community, they got educated during the British rule and got employment in the army, police, forestry and teaching professions. After Independence, they ventured out into the private sector and public sector undertakings. The Kodagu district has many peculiarities, not found anywhere else in the country. Nearly 80 per cent of the total geographical area is covered by trees. About 35 per cent of this forestland is owned by the forest department, which manages the sacred groves, national parks, tiger reserves, wild-life sanctuaries, reserve forests, protected forests and protected areas. Nearly 30 per cent of land is managed by private estates, where coffee, tea, cardamom and pepper are grown. About 12 per cent of the area is home to wetlands, where paddy is cultivated, though this practice is slowly vanishing due to the shortage of agricultural labour. The rest of the land is with the revenue department. The Kodavas nurtured sacred groves in each village that secured water in tanks and other waterbodies and recharged groundwater. These trees in these groves attracted birds and other predators that helped to control pests in the adjoining paddy fields. They even built small temples inside these groves to instil fear in the minds of the local people to protect the local environment. 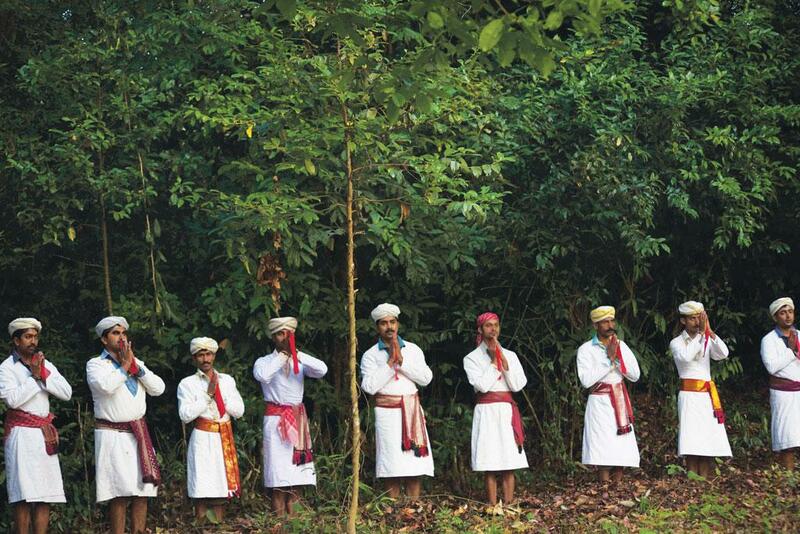 But today several of these sacred forests are being increasingly encroached upon, and also being illegally felled. Though every village has a gram panchayat (village council), its members are mute spectators to such activities or are hand-in-glove with unscrupulous elements. Both government as well as private forestlands in Kodagu are under tremendous pressure and are being disturbed, destroyed and degenerated. Take the case of wetlands or paddy fields, which were exclusively owned by families since time immemorial. They were regularised for taxation purposes during the Haleri dynasty (1600-1834), specifically during the term of Lingaraja (1811-1820). The families paid an annual tax, and the lands were registered in the name of the eldest member called Pattedar. Around these wetlands, forests called jamma lands were earmarked for grazing, firewood and other purposes. Some of these lands are still in the hands of the government, which has allowed the families to raise coffee plantations by paying a tax. Several such jamma lands are yet to be converted as a personal property. These lands cannot be sold or transferred to others, except to family members or other jamma holders. But local people have been selling their jamma lands to outsiders clandestinely. Ironically, the Forest Rights Act, 2006, provides ownership rights (khatha) to all tribals who have been staying on forestlands for 75 years! And private estates have become “deemed forests” under the Forest Conservation Act, 1980. Many are clearing forests for commercial purposes. Some non-Kodavas are converting their recently-purchased coffee estates into housing complexes, which has increased human habitation. There is very little clarity as to who should control such activities. During the pre-British era, several families were allowed to take a lease in the Reserve Forests (RF) to cultivate cardamom, which were called yelakki malai. These lands were taken over by the government after the lease period was over. Similarly, large areas of RF were leased to families for cardamom and coffee plantations, which now the government is negotiating to take over by giving compensation to those families. There are over 7,000 hectares of ecologically-sensitive wet evergreen forests in the Western Ghats, which the government has taken over. There are several such enclosures with rich biodiversity and, therefore, should be taken over by the government for ecological reasons. Government forests fare no better. The RF areas are smothered with invasive weeds like Eupatorium, Lantana and Parthenium, preventing the growth of indigenous species that provide fodder to herbivores. Even private lands have not been spared. Due to its salubrious climate, forested valleys and hills, picturesque locales and trekking paths, tourist resorts and home-stays have mushroomed across the region, threatening the fragile ecosystem. Unless such activities are planned properly, the Kodagu landscape will deteriorate rapidly. Moreover, paddy cultivation has been abandoned in many areas due to labour shortage, erratic rainfall, declining paddy prices and free rice government schemes like Anna-Bhagya. These paddy fields helped store and recharge groundwater, an integral part of Kodava’s environmental management. Cultivation should be revived and farmers should be given incentives to cultivate otherwise there will be a severe scarcity of drinking water. The Kodagu district is one of the catchment areas of the Cauvery river. If cultivation and water storage capacities are not revived, the water scarcity situations will become worse, not just in Kodagu district, but also in Mysuru, Bengaluru and parts of Tamil Nadu, which are dependent on Cauvery’s waters. 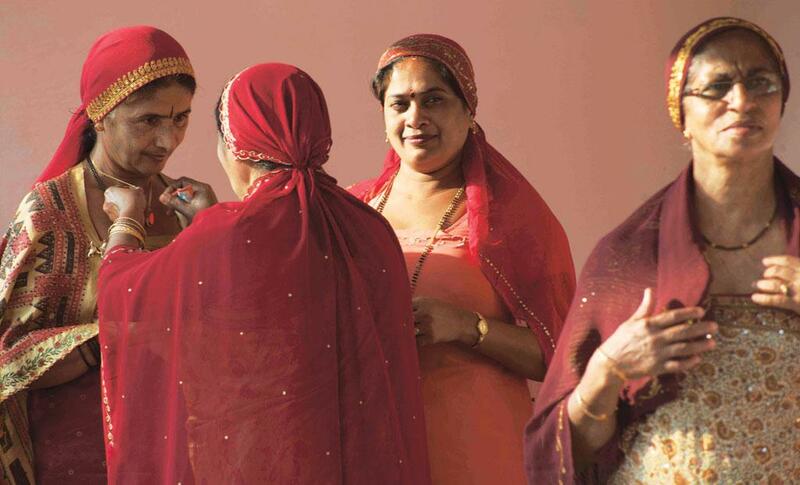 Kodavas have seriously adhered to family planning measures and have either one (mostly girls) or no children at all. So they are bound to sell their ancestral property and settle in nearby cities. Unless efforts are taken to restrict conversion and misuse of forestlands, the glory of the Kodavas may soon become a part of history. When FRAct 2006 allows tribes and others get ownership, if they stayed for 75 years in forest land, why not we Kodavas should not get ownership of Jamma lands even though we stayed in that land since immemorial? Our Ayn house is in Jamma Land belongs to government. what an irony !